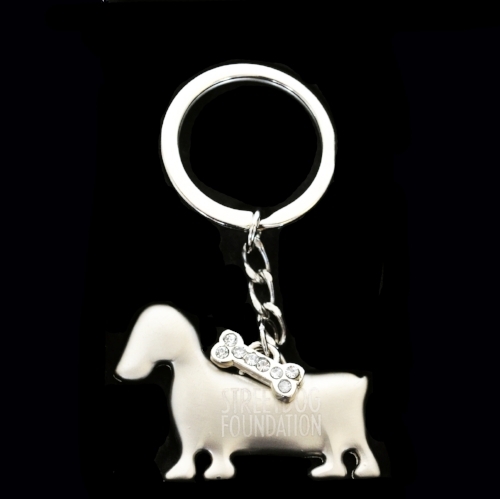 Shopping for a dog lover can be tough. They already have a dog, what more could they possibly need to be happy, right? But if you’re determined to get the perfect gift for your dog loving friend, consider some of these fun options. Pup Socks are a simple but brilliant idea: take a dog’s face and put it on some socks. 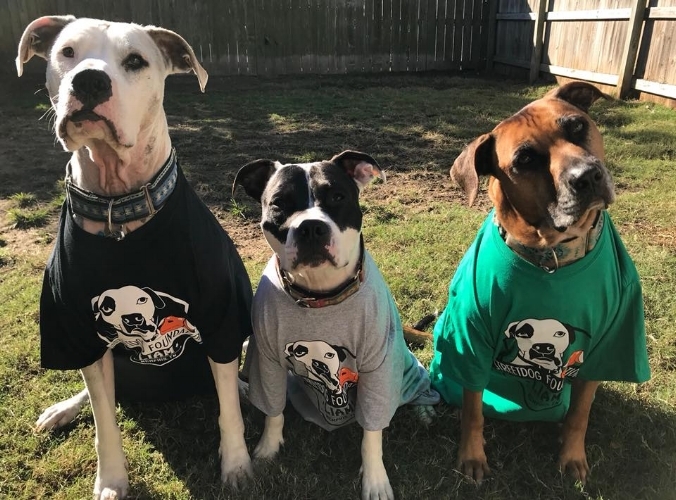 Just steal a picture from your friend’s social media (because naturally their dog is all over social media), upload it to the Pup Socks website and tada! 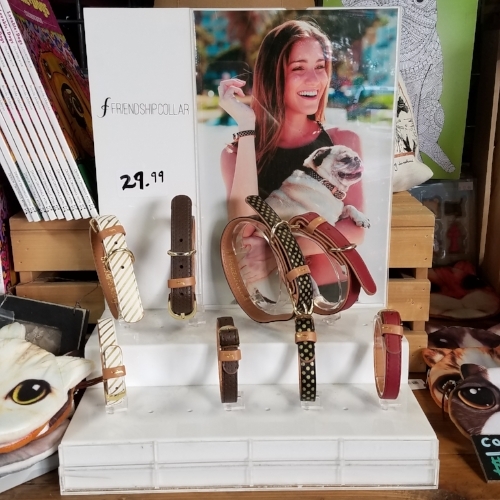 Hollywood Feed is a fantastic, locally owned pet supply store (and they’re incredibly supportive of the rescue community.) You might go just to buy treats but once inside you realize you need a new candle, some greeting cards and a t-shirt that says “Pugs, Not Drugs.” You can’t go wrong with anything from Hollywood Feed. The cutest clutch purses ever. Matching collar and bracelet set! The last time you saw one of these was probably in the sixth grade, right? 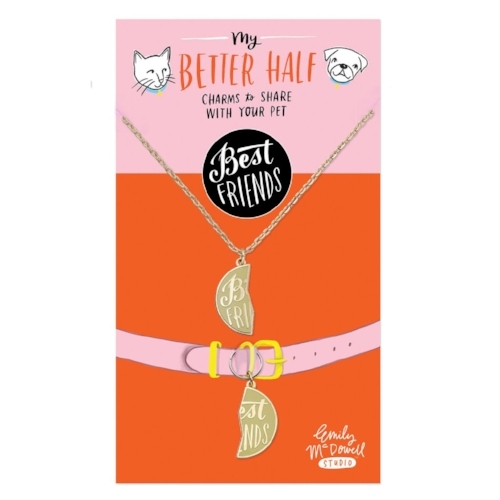 With a necklace/collar charm set from Emily McDowell, they can show the world who their true BFF is. Also comes in “Soul Mates,” “Life Saver,” and “You Rescued Me.” Awww. Decking someone out in Streetdog gear means they’ll look cool, they’ll be comfortable and they’ll know that 100% of the proceeds from their gift go to saving the lives of dogs. Win win win! Bonus: Streetdog swag also looks good on the pups. What better way for someone to tell the world they have a top-rated doggo than with this sweatshirt from We Rate Dogs (the Only Legit Source for Professional Dog Ratings)? 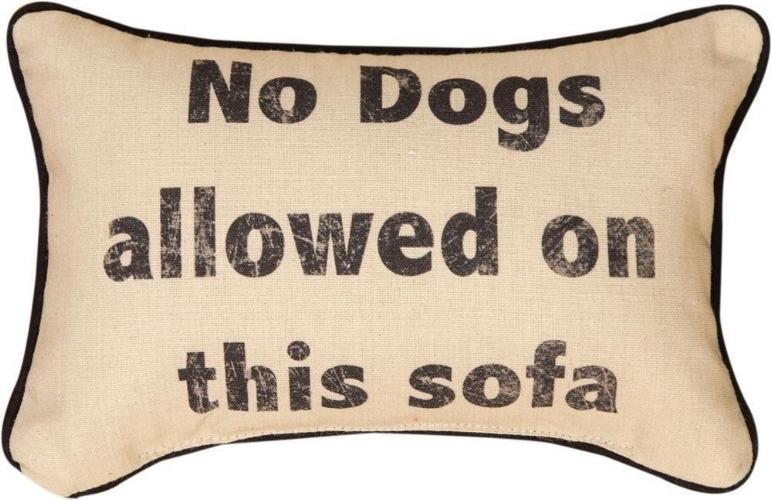 A throw pillow that you all know is a complete and total lie.